With the judgement in regard with the alleged Indian spy Kulbhushan Jadhav case all set to be pronounced today by the International Court of Justice (ICJ), defence experts on Thursday demanded consular access for the safety of the ex-Indian Army officer. Defence expert P.K. Sehgal told ANI that India's case was very well presented and India was absolutely firm putting that justice would be served to Jadhav. "Pakistan has violated all conventions whether it is human rights or the Vienna Convention, or be the consular access or even the question of whether the ICJ has the jurisdiction in this case or not. Pakistan will stand totally exposed in its hypocricy and for the premeditated murder of an innocent person. There is no doubt in my mind that Pakistan will be in for a mighty condemnation," he added. 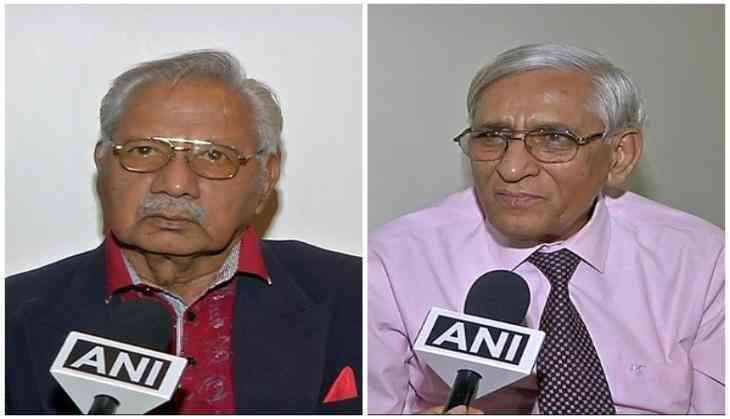 Echoing similar sentiment, Ranjeet Rai told ANI that both countries were looking forward to the ICJ whether Vienna Convention allows consular access or not. "Both sides avoided going into the facts trial; they went into the jurisdiction aspect. And therefore, Harish Salve argued that death sentences should be stayed immediately. And the trial was a 'kangaroo trail'. Pakistan, on the other side, used the jurisdiction. So, therefore, both the countries are looking forward to the ICJ's verdict which will have to decide all the jurisdiction and whether Vienna Convention allows consular access. We want consular access," he added. The Pakistan military court awarded death sentence to former Indian naval officer Jadhav on April 10 for alleged "espionage and subversive activities". India told the ICJ that immediate steps must be taken to stop Pakistan's from carrying out the death sentence of former Indian naval officer Kulbhushan Jadhav. Demanding immediate suspension of Jadhav's death sentence, New Delhi expressed fear that Islamabad might execute the formal Naval officer even before the hearing of the ICJ was over. Pakistan, on its part, told ICJ that the provisions of Vienna Convention on consular access were not applicable for a 'spy'. It also accused India of using the international body for political theatrics. Arguing before the 11-judge bench at the ICJ, which included former Supreme Court Judge Dalveer Bhandari,India's counsel Harish Salve stressed that not granting consular access and not giving legal representation of Jadhav's choosing amounted to a "miscarriage of justice" and a "violation of his right" to defend himself from concocted charges in a "farcical trial". India told the ICJ that immediate steps must be taken to stop Pakistan's from carrying out the death sentence of Jadhav. Harish Salve had told the court that India couldn't arrange for Jadhav's defence due to denial of consular access by Pakistan. He said India made innumerable requests for consular access, but Pakistan refused to provide documents relating to the case and consular access to him. Pakistan raised the confession statement of Jadhav as a base of its argument and accused India of using the ICJ for its "political theatrics." India termed that the confession of Jadhav was forcibly taken by the military while in captivity and he was tried by a military court in Pakistan. Pakistan's counsel Khawar Qureshi, while presenting Islamabad's stance in the ICJ on death sentence handed to Jadhav, said that the former naval officer entered Islamabad through Iran using a fake passport. India demanded immediate suspension of Jadhav's death sentence but Pakistan presented the Kulbhushan Jadhav case as a matter of national security and the ICJ's decision would not apply to "matters related to the national security of Pakistan." It will be a big success for India and a setback for Pakistan if the death sentence of Jadhav is suspended by the ICJ. Where on the one hand, India's hopes regarding Jadhav will revive, on the other, Pakistan's relations with the other nations will suffer, affecting the country multi-laterally and economically.